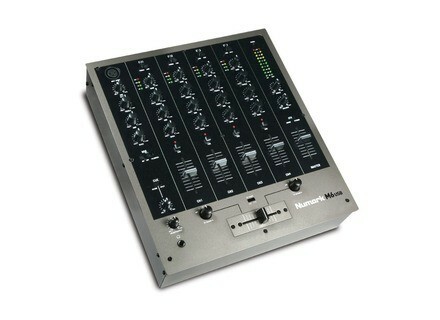 M6 USB, 4+ Channel Mixer from Numark belonging to the M6 USB model. 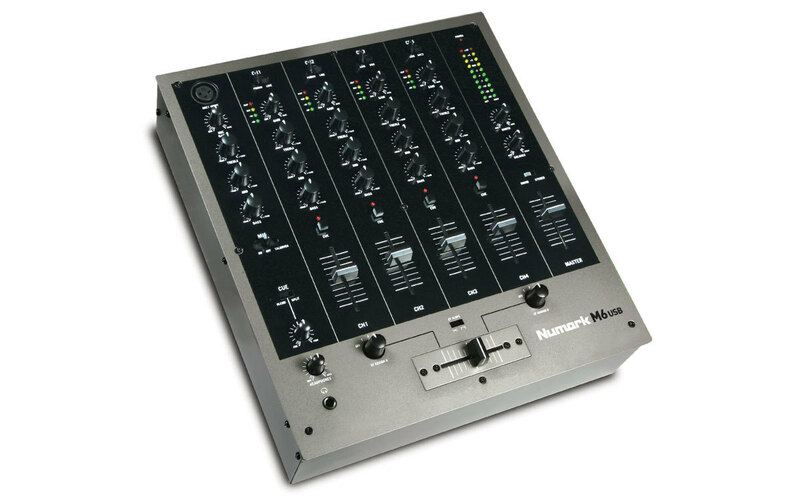 Numark announced M6 USB, its new four-channel USB DJ mixer. This club-style design has a USB computer connection. When connected to a DJ’s Mac or PC, the plug-and-play connection is designed to enable DJs to mix in audio in from music-player software and record their set into an audio recording application. The M6 USB, includes three-band EQ and LED metering per channel, a replaceable, assignable crossfader with slope control and balanced outputs. In addition, M6 USB features a dedicated XLR microphone channel and a secondary mic input on channel four. Check out www.numark.com/m6usb for more info. [Musikmesse] Numark X5 Numark announced X5, its new two-channel digital mixer borrowing from the industrial design of the Numark family of ITCH controllers, and designed to complements the V7 motorized turntable software controller. [Musikmesse] Hercules Mk4 DJ Console At the Musikmesse European trade fair in Frankfurt, Hercules announced the release date and retail price of its new Hercules DJ Console Mk4. [Musikmesse] Pioneer DJM-350 The Pioneer DJM-350 DJ Mixers has 2 channels, with features that can also be found on Pioneer Club Standard products like the 4 Effects, Looping and Rekordbox compatibility.